Wyatt O’Brian Evans arguably is the quintessential Renaissance man. 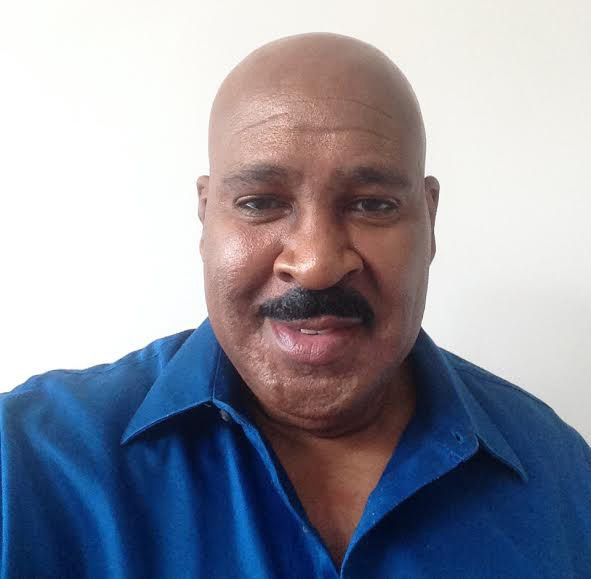 Mr. Evans is an author, journalist, radio personality, entrepreneur, instructor, voice-over artist, public/motivational speaker, and entertainer. 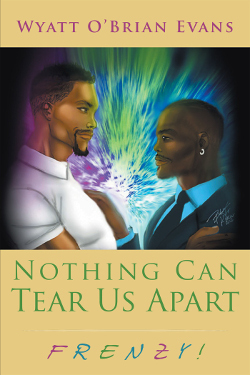 Wyatt is the author of the provocative and popular “Nothing Can Tear Us Apart (NCTUA)” series (gay/ethnic), the compelling and exciting saga of Wesley and Antonio–two masculine men of color (African-American, Latino) who confront daunting struggles and obstacles which throw their monogamous relationship in dire jeopardy. Nair’BoUniversal, the publishing and production house that Mr. Evans founded and of which he is CEO/President, releases the NCTUA series. “FRENZY!”, the latest installment in the well-received series, has just been released. Mr. Evans also is a journalist, whose bylines have appeared in both print and on line media outlets including the Washington Post, Huffington Post, Baltimore Gay Life, Bilerico, BaltimoreOUTloud, Washington Blade. 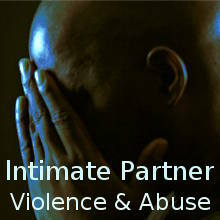 He has written award-winning, influential, no-holds barred series on both LGBTQ racism and intimate partner violence/abuse (IPV/A)–also known as domestic violence and abuse–which have been syndicated in numerous venues. Additionally, Mr. Evans is the host of the popular The Wyatt O’Brian Evans Show. It is cutting-edge, probing, absorbing and insightful radio. It explores and dissects controversial issues and topics, and features diverse and dynamic individuals that impact the LGBTQ community and its allies. As well, Mr. Evans is a communications and media consultant/instructor with decades of experience working with government and the private sector. His areas of expertise include editing, writing, interviewing, organizational communications, promotions, voice-overs, and public/motivational speaking. As a voice-over instructor (V/O), Mr. Evans has taught hundreds of students to effectively and persuasively use their voices for radio spots, narrations, and their work environment. And as a V/O artist, Wyatt has performed radio commercials and narrations for government and businesses. To date, he feels that his most cherished and noteworthy accomplishment as a V/O talent is performing radio spots for Secretary of State Colin Powell’s “America’s Promise” organization. 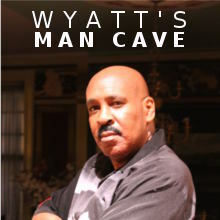 As a public/motivational speaker, Wyatt has given talks and seminars on a range of issues and subjects including IPV/A, racism, depression, relationships, and voice-overs. Wyatt also is a versatile entertainer. As an actor, he has appeared on cable, and in commercials and training videos. As a stand-up comedian, Wyatt is a graduate of the prestigious and celebrated American Comedy Institute (ACI) in New York City. As a comedian, Wyatt has performed on TV, and in comedy clubs across the U.S. and the Caribbean. Mr. Evans has Bachelor of Arts degrees in journalism and political science from the George Washington University in Washington, D.C.